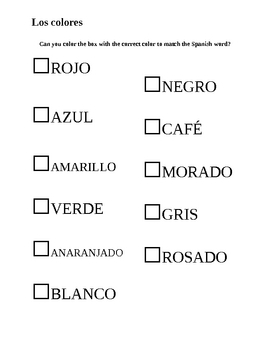 Learn the colors in Spanish! 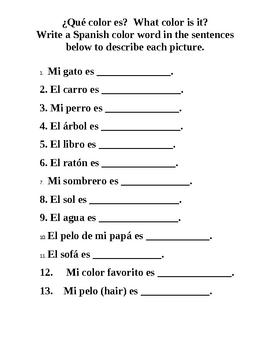 Here are five printable pages you can give to a very young, elementary Spanish audience. 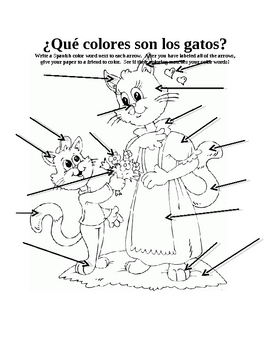 There are two coloring pages (color-by-Spanish-word), a page to "color" notes on, and two writing/coloring pages (5 pages in total). Quick and effective for the elementary school beginning Spanish learner. Students should be able to read and write to do this activity.